Mentorship is one of the most satisfying opportunities for volunteering. 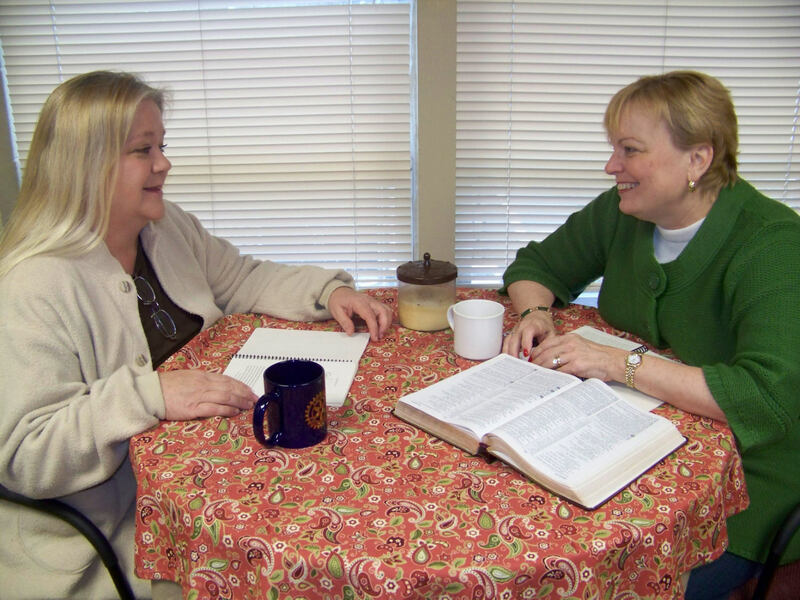 It is essential to the heart of CWJC’s ministry for each participant to have someone she can call on for encouragement and support after the official program ends. This relationship helps the woman keep the commitments made while in the program and gives her the support she needs to make real and lasting changes in her life. Mentorship is a commitment to a a six-month relationship with the student, during which the mentor and mentee must meet a total of 14-1 hour visits and have 14 phone calls. A prospective member must meet the volunteer requirements and be an active member in a local church. The role of mentor to a program participant is a role that requires a significant commitment. It is a beautiful investment of time and relationship that makes a lasting impact in the life of a woman and those of her family. Before being paired with a student, all mentors must attend Mentor Training, where they will learn more about Christian Women’s Job Corps as well as the specifics involved in a mentoring relationship. After being paired with a mentee, the mentor must submit a monthly report to their Mentor Coordinator. Throughout the six month mentor commitment, the mentor and mentee must meet a total of 14-1 hour visits and have 14 phone calls. Consistently prays for assigned mentee. Contacts mentee at least once a week. Has regular Bible study with mentee. Set both long term and short term goals with mentee. Encourages accountability and follow-through behavior by monitoring mentee’s goals. Assists mentee in finding information needed to reach goals. Are you ready to invest in the life of a CWJC student through mentorship? Apply Now!